In all honesty, you have to tell the silly world you're dart of to shove it. There are things I don't agree with here in my neck of the woods and I just dont buy into it. Yasher keyach Hirshel. Good post. I don't know if am missing something here, but the hat pictured ("The Kasket in question") doesn't look like the old kaskets of years ago. It looks like a modern cap. Maybe that is part of the problem (though not all of it). Could you not find one of the older type ? that's the best I could do, but I think it's pretty close. It's not like the more modern ones; the ones that are more stiff and have no real bill. This one does. Aderaba, I'd wear a more authentic one if I could get one. I don't mean the "Greek fisherman" cap, that's no good either. 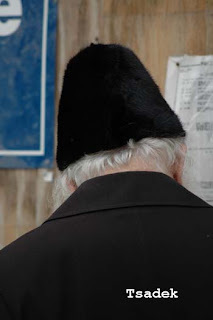 I think many Chasidim rough it with the regular Fedoras being that that is what the Rebbe did even on the long winter days at the Ohel (before the temp. conrolled room ). For warmth go for the ushanka , for practicality stick with your kasket. What a silly and immature post. Do you write this for the yeshiva k'tana boys or do you actually think this nonsense would interest anybody with half a brain? If you can't handle a light moment, and you absolutely need your daily fix of the latest scandal, please feel free to stick to the other blogs. But do us a favor and don't blame it on intelligence and brains. I couldn't have said it better myself. Thanks! 1) how do you know what my kids door don't hear from me? 2) I guess you consider a 3 day beard with a shtraymel like the cool ones today Derech Avoisaynee? I guess that's the result of all that talk about Levush? The point is that you're applying your childish notions to me and my group. That's sad. Hirshel this is the best posting EVER I Mean EVER, just in time for xmas couden't ask for more or better. unzer zayt its close enough. Shabbes. After all in Russia this too was the Shabbes dress. rabbonishce hut on Shabbes !!! he quotes Reb Nissan as saying when they switched hats in Poking in 1945-46 ? Village in Black. I do not wear it because of hakpodah from my late father . laughed at me we wore what we had and the pictures prove their point. That's just the point. I think that when his co-workers see HT in his winter gear instead of the traditional Chabad tricorn they suspect that he's trying to hide his identity. IIRC in Bais Brisk (I mean actual biological Soloveitchiks) in Yerushalayim the Bochurim wear the traditional European kasket from about age 6 till a few years after Bar-Mitzvah. HT I eagerly anticipate a companion post in July advocating for the return of the Panama Hat. hiding my Lubavitcher identity, eh? In truth I look more like a Chaim Berliner than a Lubavitcher, so there. In the summer most businesspeople do away with headgear completely, since they don't have the winter "excuse." However, I'd advocate a lightweight Kasket, not the Panama Hat like the 5Towners love to wear. Hey, I like the Panama Hat idea! I'm gonna go git me one! One thing that's always bothered me about the Kutshmas is the nasty "cuff" look. If you wasnt to hair one take your cue from the mink wearing fashionistas or the Prez of Afghanistan. They go cuffless. You don't like the kutchmas? Easy-peasy! "I heard there's a shayla about avoideh zoura with them." "Al pi kabbola you shouldn't wear something from a treife animal on your head." "The Rouv says that back in der heim all the maskilim wore them." "The factory that makes them is owned by a Modern Orthodox who hates frimmers." Spread them far! Make up your own! if you guessed reb matisyahu solomon on his visit to kiev, then you won! It's aliyas hadoiros. Even trimmed bearded untermenschen wear shtreymelech these days. These hats aren't exactly kutchmes. 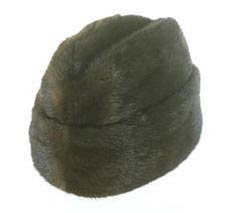 Kutchme is a russian style hat. These are called "papakhes". I wonder why someone thinks this is a new zach. He probably never tasted what Russian winter is. Reb Avrohom Shternhartz ztz"l (1930-ies). Simple working Yidden (somewhere Ukraine, 1910-ies). (That's "A Yid" from older posts. Just using my LJ Id here). 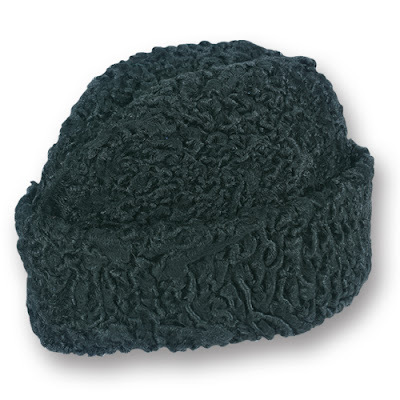 Also, I wonder why for bochurim it is "considered" OK to freeze half to death, and for yungelayt it is permitted to use warm hats.